Approximately an hour after Chinese community members held a news conference, Mayor Valerie Plante announced that construction on one of 12 public toilets - set to be built in a community space in Chinatown - would stop temporarily until the two parties reach a consensus. Media members and the curious were on-hand Tuesday morning when the first official public toilet was unveiled just outside of Papineau metro. 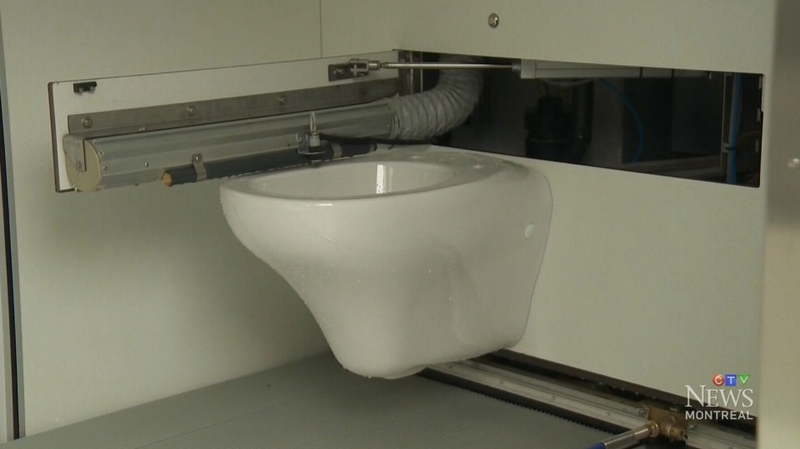 Although one crucial piece seems to be missing – a toilet seat – city officials explained that a robotic arm comes out and disinfects the toilet seat between uses - just one of its many modern properties. The floor is automatically cleaned between uses, and both the interior and exterior were reportedly built with “vandalism-resistant” materials. Once inside, users have access to audio instructions in both French and English. There’s a 15 minute time limit for each use – once inside of the toilet, there is a countdown to help users keep track. Once 15 minutes have elapsed, the doors will automatically open. A dozen more of these toilets will be constructed over the next three years in various locations around the city. Despite the flourish of these automated toilets, community members in Chinatown say they were never consulted over the proposed location. One of these toilets is currently under construction in Sun-Yat-Sen park – a social and cultural hub named for the founder of modern China. Residents and merchants say they want the city to cancel the project, although work is already underway and occupying at least a quarter of the space in the park and blocking a stage commonly used for special events and ancestral ceremonies. “It’s very insulting to put a toilet here,” explained Bryant Chang, Vice-President of the Chinese Association of Montreal. “The park here is the only public park in Chinatown, and as you can see, it’s not a very big park in itself,” he added. Activities that were supposed to take place in the park during the coming months have been put on hold indefinitely, Chang said, and face cancellation altogether. He’s calling for reconsideration, or at the very least, a consultation with community members and business owners about the toilet’s location. 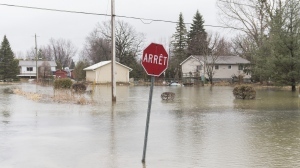 The City of Montreal has issued mixed messages about whether public consultations ever took place before the project was green-lighted. CTV Montreal was told previously by the city that community groups were consulted, and today, told they consulted with the one business owner within the parameters of the site. But Chinese groups say the requests for discussion have fallen on deaf ears. Moving forward, Plante said the two parties would "have the talk and decide."